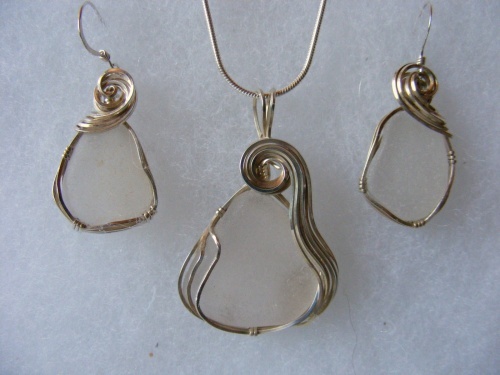 This set has beautiful white authentic seaglass thus making it so itll match any outfit. Beautifully wrapped in sterling silver swirls with matching earrings. One of a kind..